It is never easy to deal with bloating. The condition can be quite uncomfortable and affect the quality of your life. Even if you spend time in the gym, you may still end up dealing with bloating. The reason is that many foods can make you feel bloated. Interestingly, there are also foods that don't cause bloating and instead make you feel better. Let's find out more about it. Fruits with high water content can actually help treat and prevent bloating. 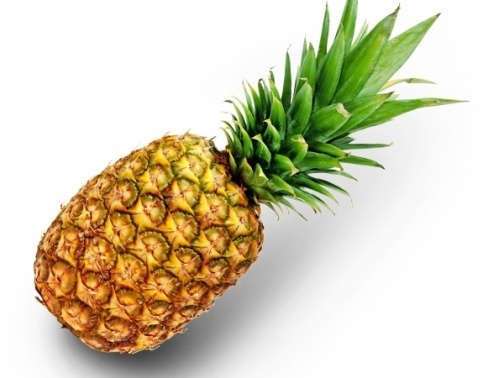 Pineapple is a good choice because it helps flush your system out and contains enzymes that promote digestion. It contains bromelain, an enzyme responsible for the breakdown of proteins. The enzyme is also supposed to reduce inflammation in the body. Thanks to the presence of potassium, pineapple may also help prevent water retention and improve your overall condition. Most people think they should avoid dairy products if they want to prevent bloating, but that is not always true, especially in the case of yogurt. You should certainly avoid milk and cheese, but yogurt contains good bacteria that make it light on your stomach. Probiotics help maintain a healthy balance of bacteria in your digestive tract and prevent bloating. 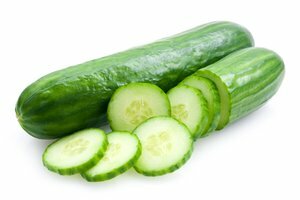 Loaded with water, cucumbers are among the foods that don’t cause bloating. The good thing about cucumber is that it provides you with water without increasing your intake of fiber. This promotes urination and helps make your stomach feel flatter. Asparagus is beneficial because it prevents water retention. By preventing water retention, you do not have to worry about feeling bloated. All you have to do is eat a few stalks with your meals to enjoy some amazing benefits. Ginger has always been a great remedy for an upset stomach. It promotes better digestion and prevents bloating in the first place. Moreover, it works as a muscle relaxant. It means that it helps relax your muscle, making it easier for you to expel gas from your system. 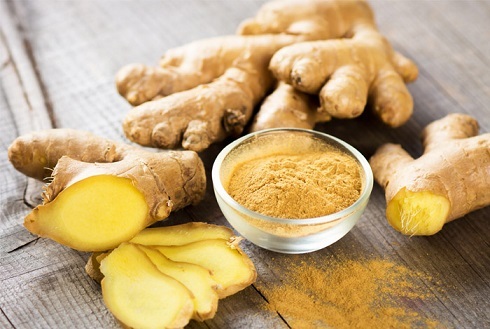 You can simply chew on fresh ginger to get gingerols, which is the compound responsible for all the benefits you get from this herb. Drinking a cup of ginger tea may also help make you feel less bloated. You get loads of health benefits by including eggs in your diet. However, you may want to avoid egg white when you have issues related to bloating. Egg whites are high in protein and work as a diuretic. It leads to frequent urination and treats bloating. Cilantro contains a number of oils, including geranyl acetate and linalool, which help relax your digestive muscles and make it easier to expel gas. 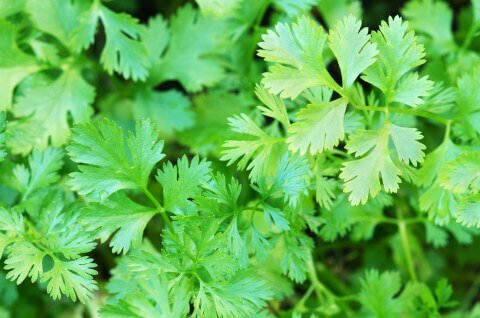 Many studies have also found that you may benefit a lot from cilantro if you have irritable bowel syndrome. You can take a coriander supplement or include it in your salads and other dishes. You may want to include oatmeal in your diet if you are currently experiencing gas or constipation. It is good for your digestive health because it contains soluble fiber. It prevents constipation and lowers your risk of feeling bloated. You may be surprised to find tomatoes on the list of foods that don't cause bloating, but they are quite beneficial when eaten raw. 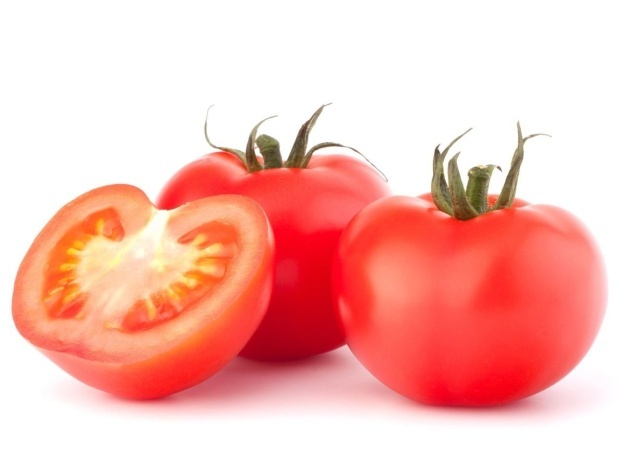 Drinking a glass of fresh tomato juice will also help de-bloat your system. To make tomatoes work even better, consider adding a few carrots or watermelon to your tomato juice. The blend will provide you with loads of antioxidants and have a diuretic effect on your body. This in turn will help treat bloating. Studies have found that mint may improve digestion and prevent bloating as a result. IBS sufferers may also benefit from supplementing with peppermint oil. Some studies show that peppermint oil may help alleviate pain and reduce inflammation in the GI tract. 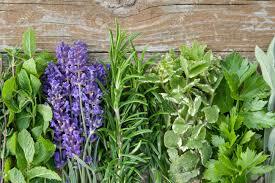 You can include dried herbs in your diet to help deal with bloating. Some good options include tarragon, sage, basil, dill, and rosemary. It is a good idea to avoid cloves, nutmeg, black pepper, mustard, garlic, horseradish, vinegar, and barbecue sauce. Veggies are always beneficial for your health, but if you are worried about bloating, be sure to include cooked veggies in your diet. Just avoid some gas-producing vegetables, such as Brussels sprouts, broccoli, cauliflower, and legumes. You can always opt for mushrooms, green beans, and squash. 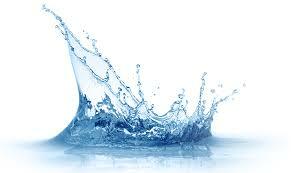 When you are feeling bloated, it means that your body is retaining water. The best way to deal with this situation is to increase your intake of water. By drinking more, you will trick your body into releasing the excess water and this will help make you feel less bloated. To get better results, consider squeezing a lemon into your glass of water. Drinking hot water with slices of ginger added to it may also prove effective.